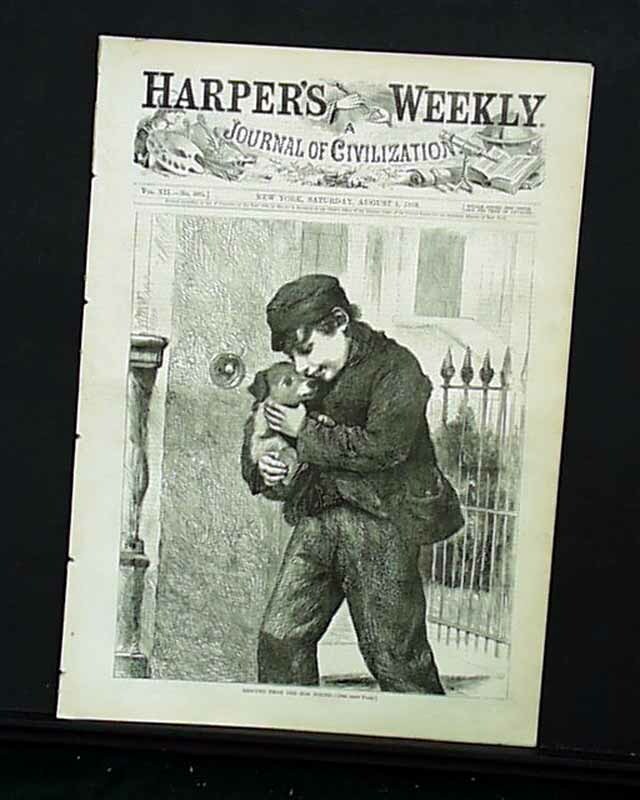 HARPER'S WEEKLY, New York, August 1, 1868 The full front page illustration is of "Rescued from the Dog Pound." 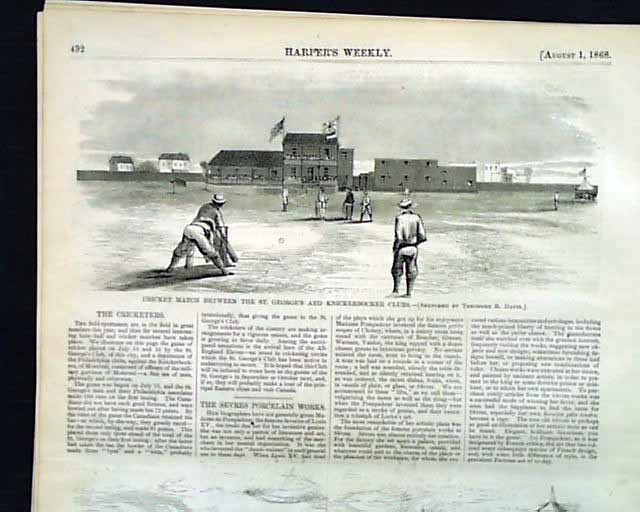 Inside is a 1/6 page illustration of "The Late Peter Cagger." 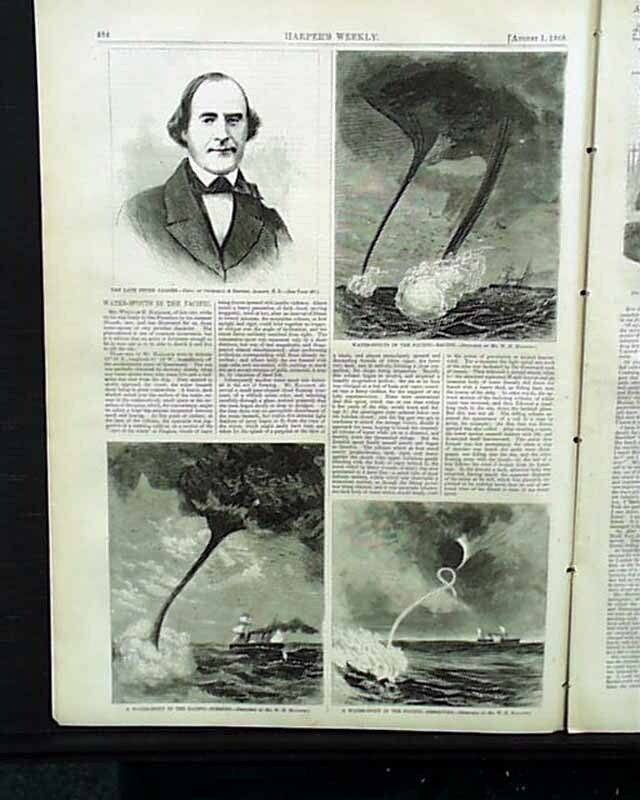 Three illustrations of "Water Sprouts in the Pacific" including "...Racing, Forming, and Dissolving" accompany an article on the same. 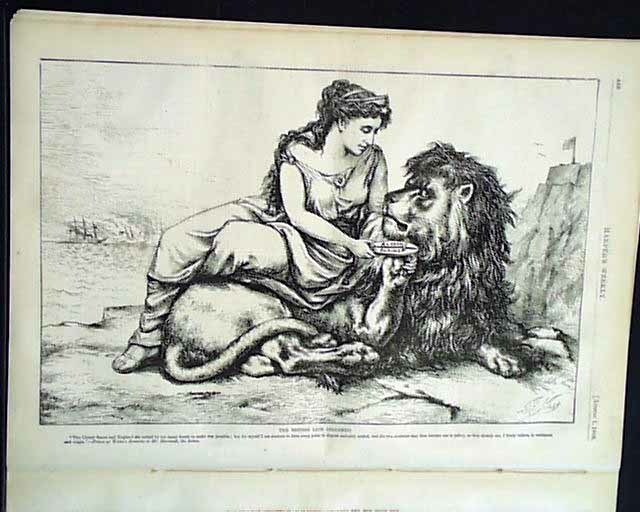 A full page Thomas Nast illustration is entitled "The British Lion Disarmed." 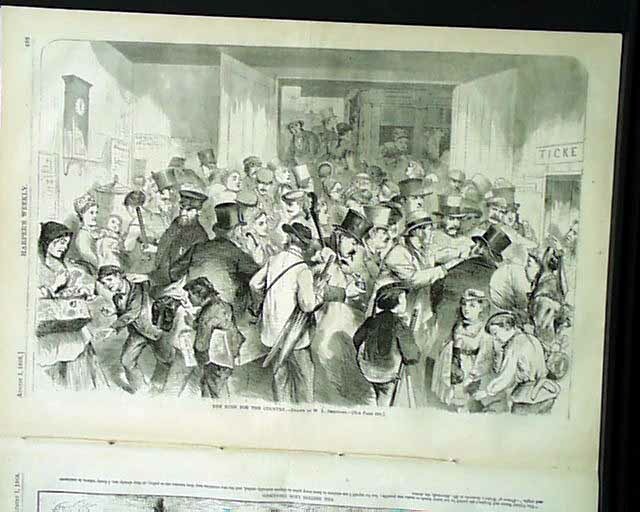 A full page illustration is "The Rush for the Country". 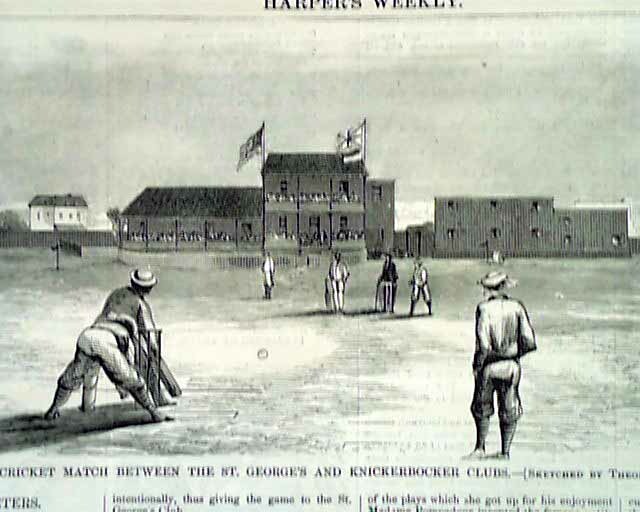 The article "The Cricketers" also has a 1/3 page illustration of "Cricket Match Between the St. George's and Knickerbocker Clubs." 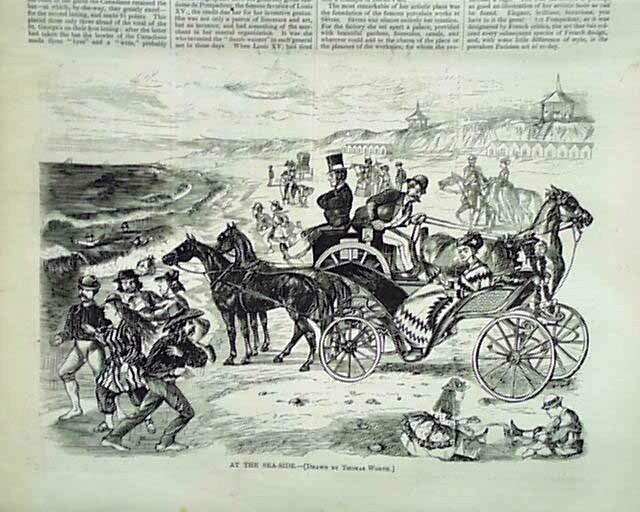 A one-half page illustration entitled "At the Sea Side." 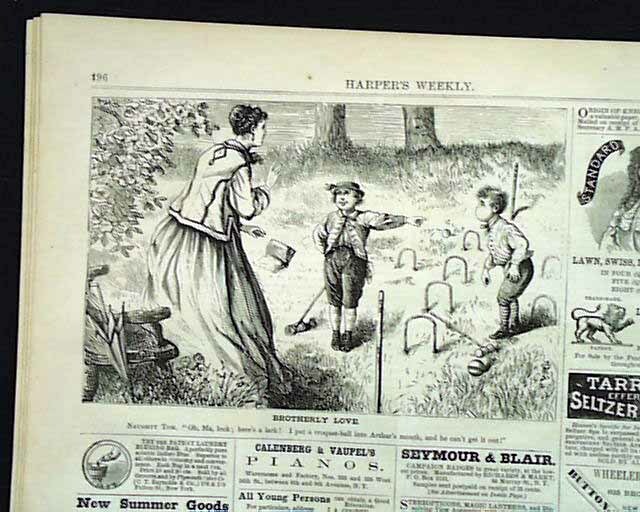 Three 1/6 pg. 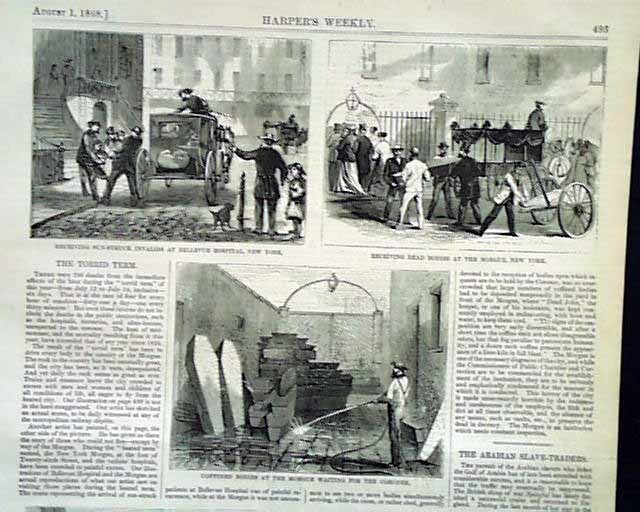 illus. 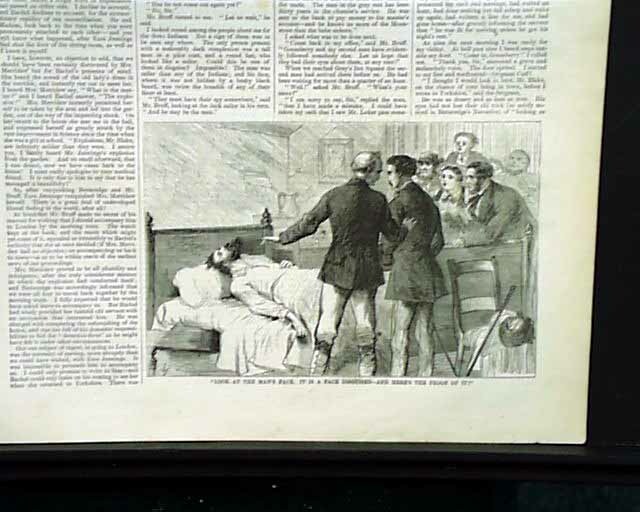 entitled "Receiving Sun Struck Invalids at Bellevue Hospital, New York," "Receiving Dead Bodies at the Morgue, New York," and "Coffined Bodies at the Morgue Waiting for the Coroner." 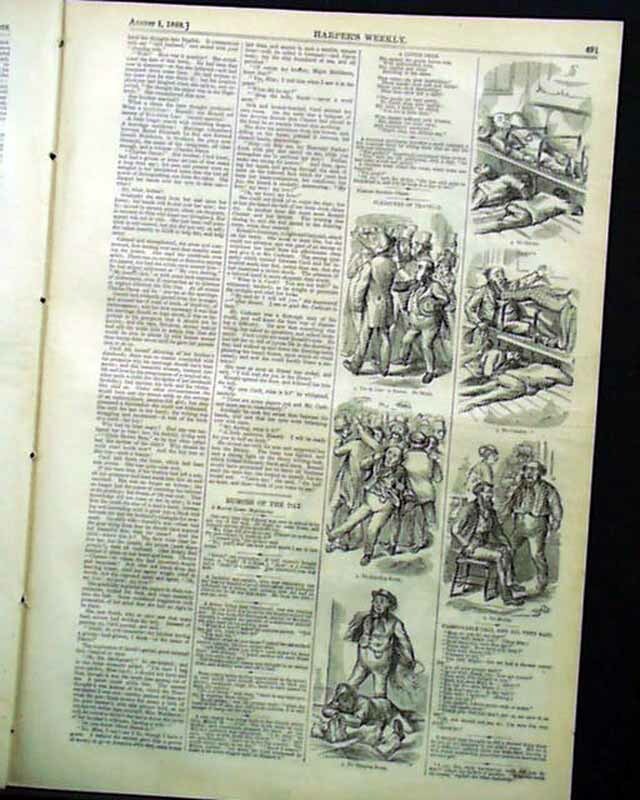 accompany the article The Torrid Term". 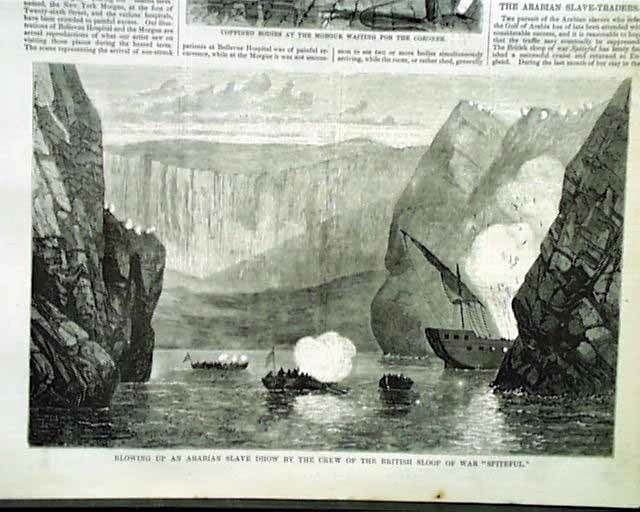 A half-page illustration of "Blowing up an Arabian Slave Dhow [ship] by the Crew of the British Sloop of War 'Spiteful'."